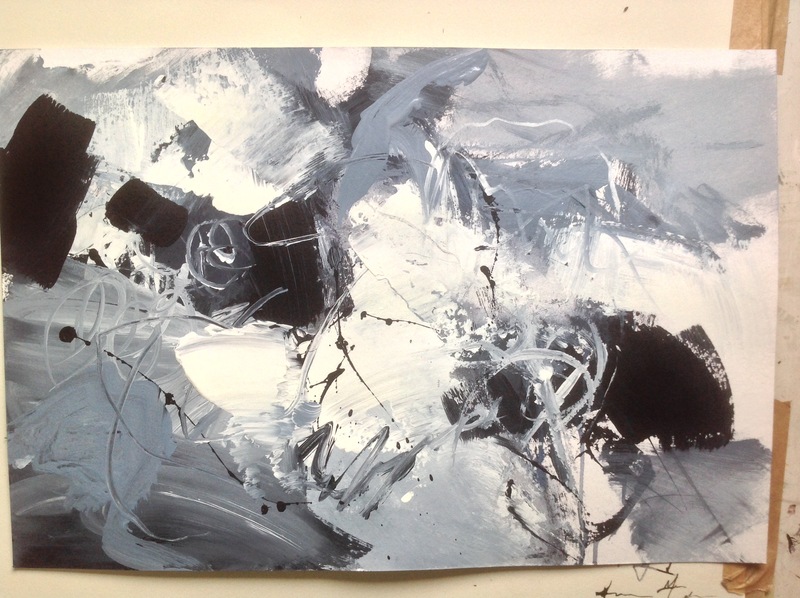 Recent markmaking and loosening up exercises helped me get back into painting after limited studio time over the new year, and overcome the dreaded artist’s block. 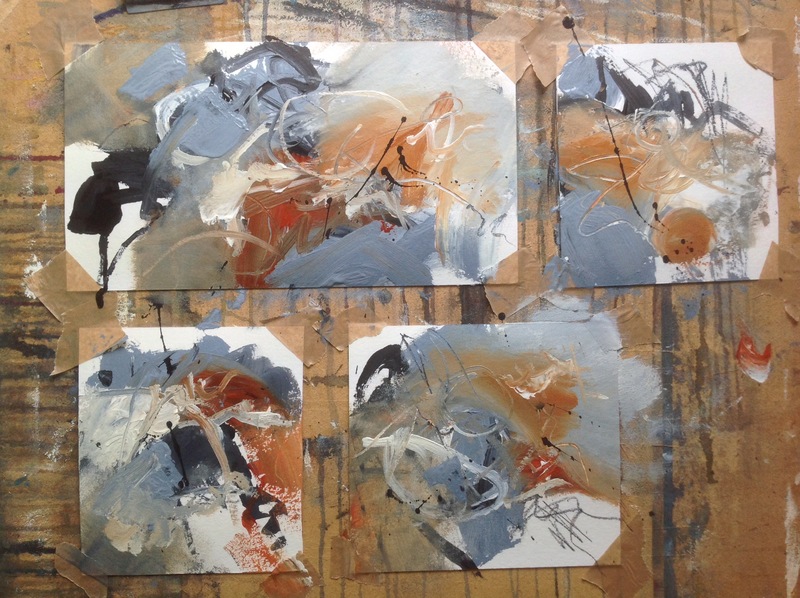 The result was these little studies in acrylic and ink on paper. I used just 3 colours (plus white), watching the interesting colour mixes emerge. 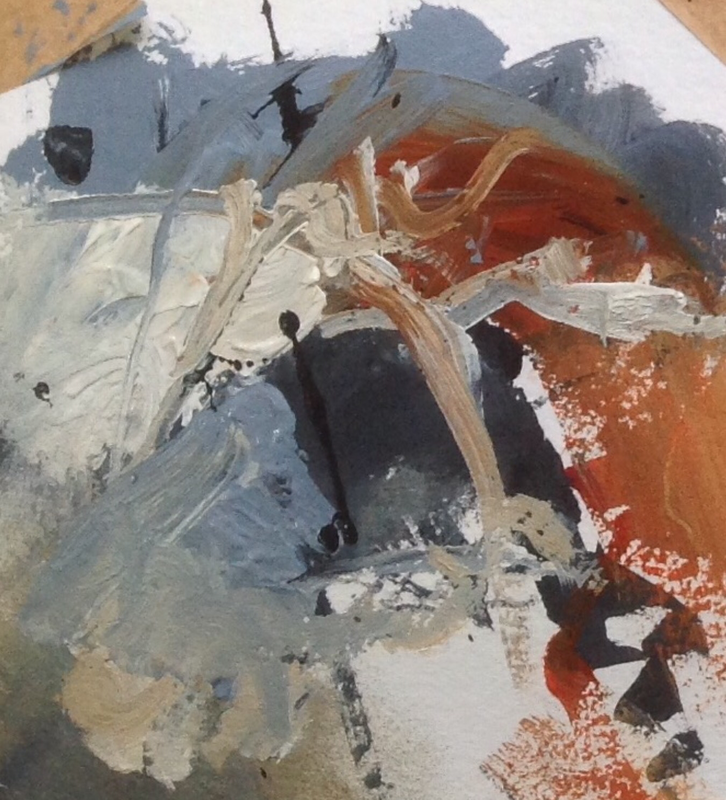 By working on a group of smallish papers fixed close together I could use big gestures to make the marks, skipping from one to the other with my implements or media as instinct took over. The trick with this method of loosening up is not to think too much about what you’re doing. It’s great playing around like this and it does seem to feed into later work in certain ways. Above I’ve used everything from eyedroppers, ink pencils and several types of brush to fingers and the side of my hand to push and pull the paint around, scribing into it with the end of a small paintbrush. I then did something similar but on a larger sheet and just using monochrome acrylic paint/ink to practice tonal values. (Above). These are great warm up exercises to get you going and deal with artists block. 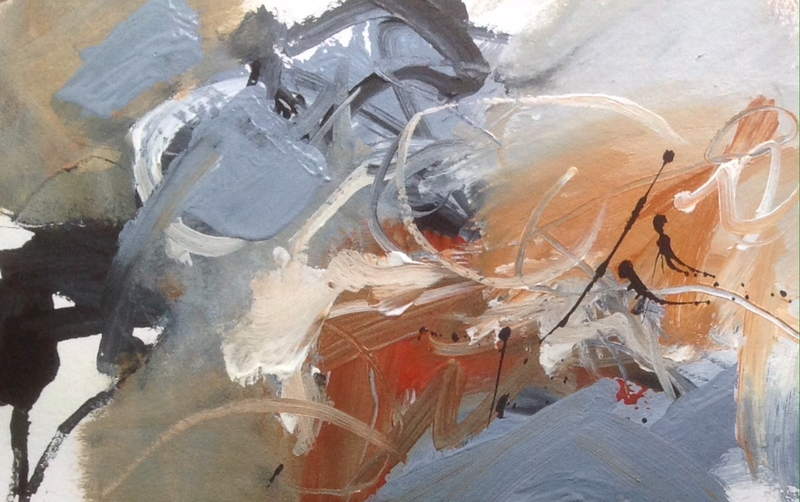 This entry was posted in abstract, acrylics, art, creative process and tagged abstract, acrylics, art, artists block, experimental painting, ink, loosening up, Mark making, mixed-media, monochrome, painting, tonal values by mari french. Bookmark the permalink. These do look terrific in their own right, the monochrome one especially. I might give this a try. Thanks for sharing them. Many thanks Michael, glad you like them. It’s a fun method, so hope you enjoy it! Love these quick studies, a good Emily warm up session!